The constellation of Orion and the brightest star of the constellation Canis Major, Sirius (alpha CMa), dominate the southern direction of northern hemisphere's winter sky. 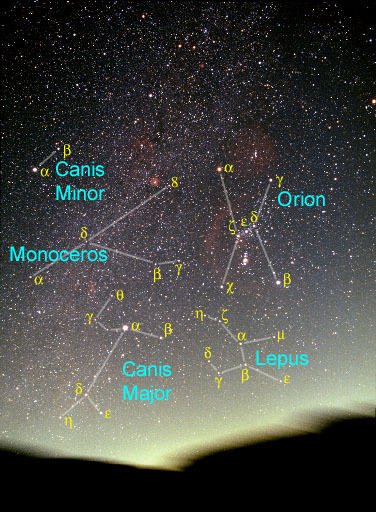 Fainter and less distinct are the accompanying constellations Canis Minor, Monoceros, and Lepus (see lines and labels). Gemini and Taurus are north of this group and just partly visible in the above photography. 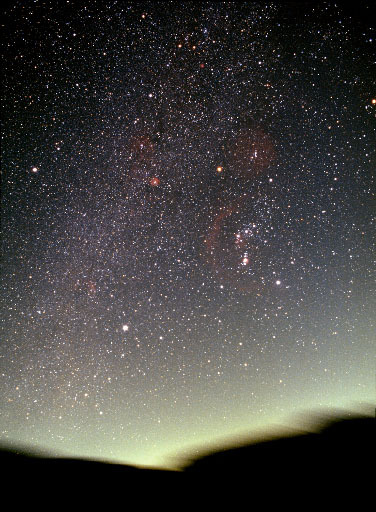 The southern horizon is smeared due to guiding the earths rotation during the 30 minute exposure. 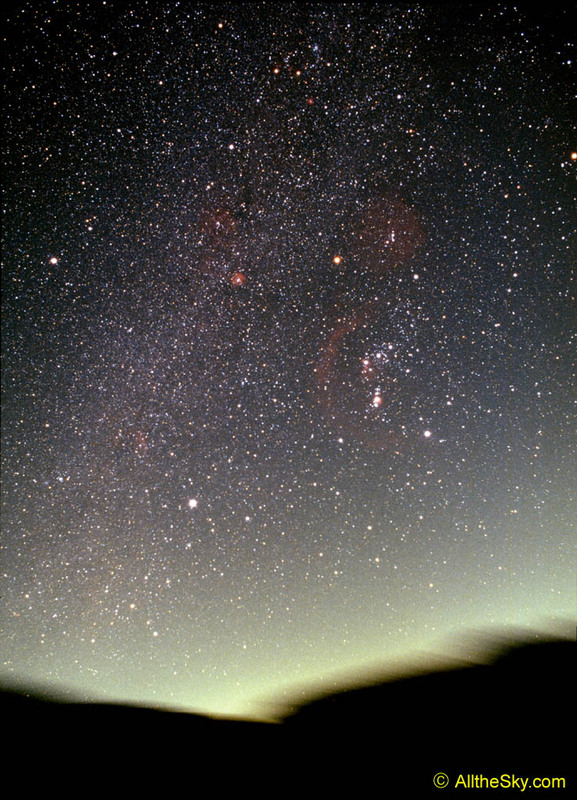 The sky just above the horizon is lit by artificial light pollution. For further informations regarding the observable Deep Sky Objects in this part of the milky way please visit the following constellation sites: Orion, Lepus, Canis Major, Canis Minor & Monoceros, Gemini, and Taurus.